Franka Potente (born 22 July 1974) is a German actress and singer. She first appeared in the comedy After Five in the Forest Primeval (1995), for which she won a Bavarian Film Award for Best Young Actress. Her breakthrough came in 1998, when she had the leading role in the acclaimed action thriller Lola rennt (released in English as Run Lola Run). 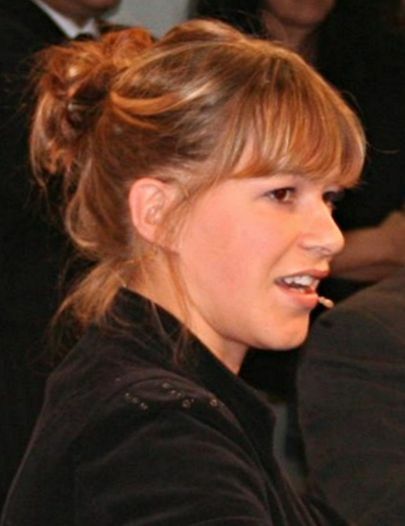 Potente received Germany's highest film and television awards for her performances in Run Lola Run and the television film Opernball. After half a decade of critically acclaimed roles in German films, Potente went on to land the role of Barbara Buckley in Blow (2001), and Jason Bourne's love interest in the Bourne film series. Read more on Wikipedia.